With excellent feelings continues Petter Dyrkorn on the spectacular playing fields of Soccer Inter-Action in Enguera, Valencia (Spain). The young Norwegian footballer has not wanted to miss the opportunity to continue develope his skills and has opted for a new program completely personalized with the mission to achieve his dream and play the English Premier League. 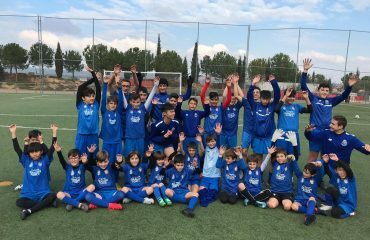 DCAPI training, friendly match against the Olimpic de Xàtiva, training with the powerful Juvenil A of our Football School FC Porto Dragon Force Valencia and a lot of more practices have served to complete a week round. In fact, it was more than proven that our methodology works when the young Norwegian passed in the friendly match to play Right Back when his usual position is Central Back. The Norwegian player knew how to adapt to this new position and shone with its own light, leaving with a very good taste the FC Porto’s technicians and those present in the stands. For even greater importance to his new step through the High Performance Football Center and the International Soccer Academy, Petter was able to enjoy the excellent weather in a Holy Week in which he has seen from the first row the organization of the Camp of Technification 2018. Camp with which the already versatile Norwegian footballer has shared coaches and fundamentals that have helped him improve. And it is that in the sports facilities of Soccer Inter-Action (SIA) located in Enguera, Valencia (Spain) are given the best conditions for the practice of elite football. Fields of natural and artificial turf game, high performance center, gym, clinic, high-end hotel, leisure rooms, video analysis rooms and other resources suitable to improve, but above all enjoy.